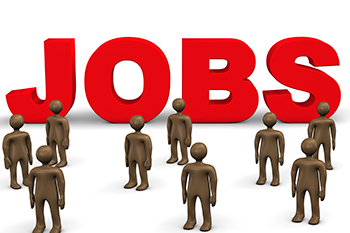 World Bank data suggests that India creates about 8.5mn jobs each year to keep the current employment rate constant. They highlight that the working age population in India is on the rise and would continue to grow further. Unemployment, the age-old “burning issue” makes its way to primetime news every time elections are around the corner. With the 2019 polls knocking at the doors, various reports have started flowing in to assess the level of unemployment and what India needs to do to manage it. However, the picture isn’t so pleasant. A report by the Centre for Monitoring Indian Economy (CMIE) states that as of Mar’18, there are ~31mn unemployed Indians looking for jobs. The rate of unemployment in Feb’18 was 6.1% vs. 5% in Jan’18 and has been showing a growing trend since November last year. Further, it is not just unemployment but the monster of open unemployment that haunts India. According to the 2018 United Nations Human Development Report (UNHDR), "It used to be said that India's problem is not unemployment but underemployment and low wages. But, a new feature of the economy is a high rate of open unemployment, which is now over 5% overall.” Open unemployment is a condition in which people have no work to do. They are able to work and are also willing to work, but there is no work for them. The report added that the increase in unemployment was clearly visible all across India, but is particularly severe in the northern states. Various reports have recently suggested that the conversion of high economic growth rate to jobs hasn’t been done right in India. The increase in GDP has had an extremely scarce impact on the number of jobs created. For every 10% rise in the GDP of the country, employment sees a meagre increase of 1%, says a report by the State of Working India (SWI) 2018. The report further continues to reveal that the current rate of unemployment is the highest, at least in the last 20 years. The major issue is that 16% of the youth in the country remains unemployed. How can India improve the unemployment situation? The relationship between employment growth and economic growth has become weaker over time. To bridge this gap, the creation of work should commensurate with the qualifications provided by educational institutions. India, therefore, has to take bold steps towards not just creating jobs but creating “quality” jobs. On the other side, more emphasis has to be laid on training people based on skills and changing job requirements. The emergence of disruptive technologies such as the Internet of Things (IoT), Artificial Intelligence (AI), Augmented and Virtual reality, and Blockchain has created a plethora of jobs with no takers. Hence, the workforce needs to be coached in looking beyond textbook education and embracing technological evolution. Soft-skill upgradation with cross-functional team management and on-the-job training can help prepare the generation to accept challenges of today’s times. The Pradhan Mantri Kaushal Vikas Yojana (PMKVY) (2016-20), an initiative of the Ministry of Skill Development and Entrepreneurship (MSDE), is taking bold steps in this direction. As of February 2018, 4.5lakh young Indians have been certified under the PMKVY (2016-20), and the aim is to skill 1cr youth by 2020. There’s a lot to do and the task seems arduous, but efforts are being made in the right direction for improving the employment situation in India. After all, well begun is half done!